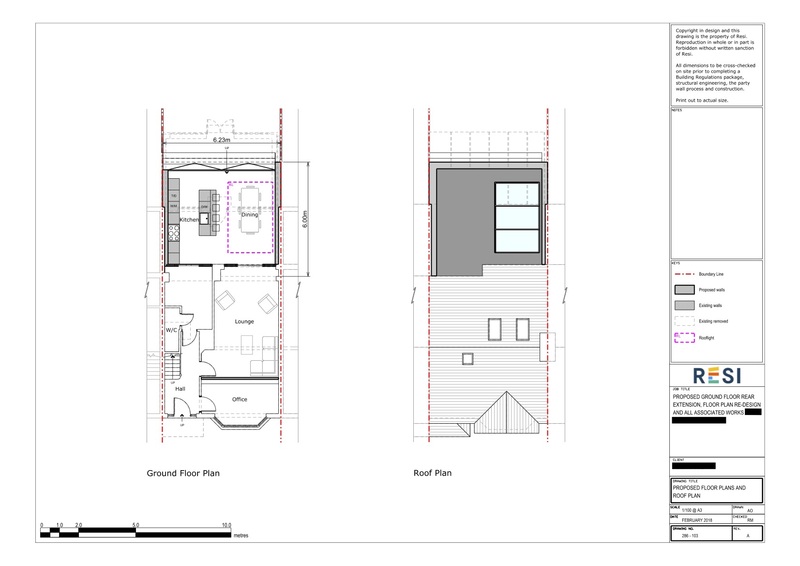 The owners of this property were looking to use their rear extension for a spacious kitchen and dining area, which would be perfect for dinner and drinks with friends… and a self contained suite in the loft conversion in case any guest had one too many! 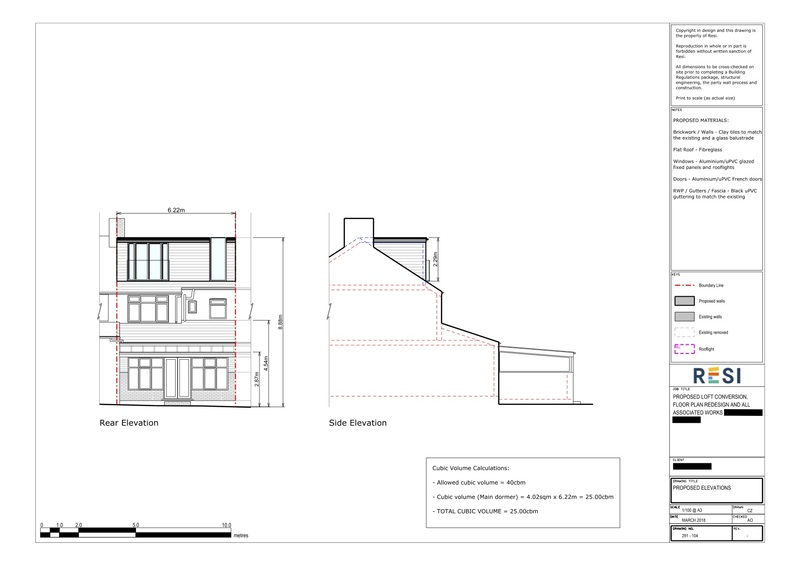 This project was carried out under a Lawful Development Certificate (meaning the homeowner was operating under their permitted development rights), which was granted on 19th July 2018. 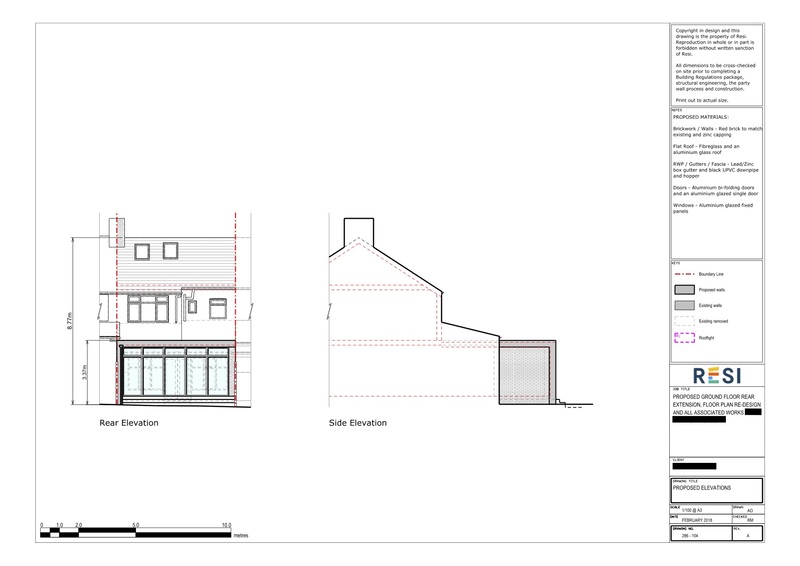 Our client was looking for a contemporary styled rear extension and loft conversion to their home in Ilford. Their main aim was to create an office, and an extra bedroom with an ensuite. For the ground floor, they were looking for a new space that was semi open plan, with lots of glazing and natural light. 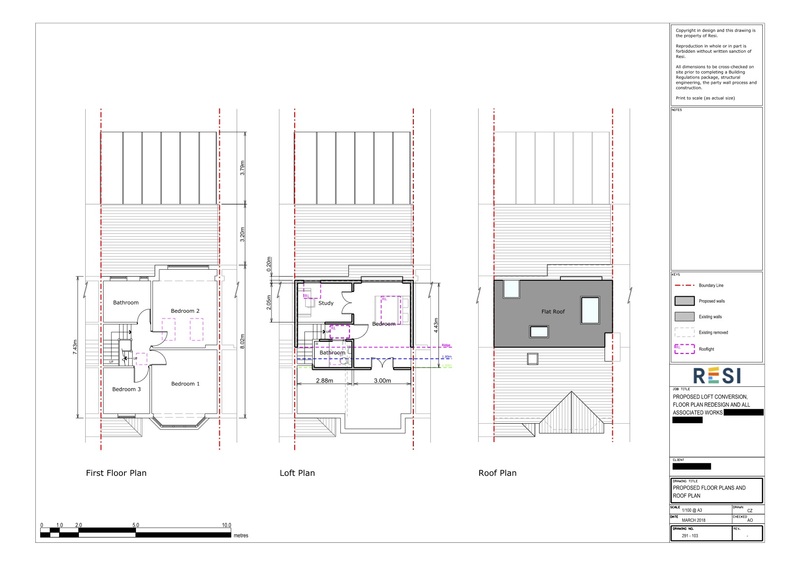 For the rear extension, I designed a layout that fitted this semi open plan criteria. The new space had a kitchen and dining room, with a central island containing a breakfast bar, in order to break up the space. The pre-existing ground floor rooms were then used to extend the lounge, and create room for an office. The loft extension had a fibreglass flat roof, where the bedroom and ensuite layout was divided into a study, bedroom, bathroom, and storage area. Nearly the entire rear ground floor wall consisted of aluminium fixed glazing, and a juliette balcony was added to the loft conversion to fill the property with natural light.